In this post , I will discuss why Saturn is considered most powerful planet among 9 planets of Indian astrology . Last time I had discussed about Moon’s importance in Jyotish which you may read here Why is Moon so important in Astrology. 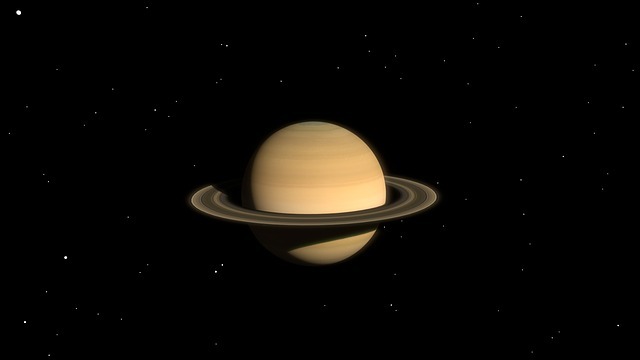 Try to understand Saturn from its astronomical features ! It is farthest from Sun , the original source of energy and authority . It does not get light and heat from Sun which is 1400 million kms distant . That makes Saturn , an entity like a citizen in Lakshadweep island in Arabian sea under India , about whom rulers in capital Delhi rarely think . That way , you have to fend for yourself and find your own ways and means to survive and succeed . You will be lone traveller on a dark , supportless path. However , if you still earn there , you are supposed to pay all taxes , which a Delhi resident pays , without getting same facilities. That is what Saturn hates about ruling brigade of Sun, Moon,Mars and they are mutually inimical to Saturn . There being no light from Sun , it is dark , signifying black color . It is cold , there being no heat from Sun reaching there ( authority or rulers not helping ) .It is gaseous , representing air. Saturn is planet for scarcity or zero state . That is why , it can make you start from scratch . And it is the only way to force living beings to act and that is why it is planet for Karma . And when you act ( Capricorn), you will get results ( Aquarius). That makes Saturn ruler of 10th house of action , name and fame, followed by 11th house of gains. Astronomically , it travels maximum peripheral distance among all planets , forming a boundary of sort for all other planets .And that takes a lot of time to travel ( 30 years ) compared to ruling class planets which do it in 28 days to a couple of years. In absence of Action , scarcity , sorrow, conflict, and miseries are default and can even eliminate the inactive ( death ) or make you a lifeless redundant entity ( wood , leather , scrap ) . Saturn represents masses because it is powerless . It denotes population as it has maximum number of 53 Moons ( children of Saturn ) . Therefore , despite being least powerful in authority , Saturn is most important planet in Indian astrology . Because finally everything depends on public , which only produces all goods / services consumed by rich and poor by toiling all the time. Saturn works like hidden foundation of society ( Steel) without which the shining domes ( rulers) of building cannot stand even for a moment . Saturn retaliates sometimes against ruling arrogant class and when it does so ( it did in 2011–14 when exalted in Libra ) , the rulers face wrath of common man world over and revolutions happen ! You can see that Saturn has maximum weight in any horoscope . One may or may not get Saturn Mahadasha of 19 years in Vinshottari Mahadasha but one would surely get its Antardasha representing 15% of total period . Apart from that , Saturn will visit every sign and natal planets there in its 30 years cycle , creating Shani Sadesati , Ashtam Shani and Kantak Shani for 7.5, 2.5 , 2.5 years respectively , making it 12.5 years in every 30 years, making it about 40% effect in transit where it will force the transformation from good to bad or bad to good . So, there can be no escape from Saturn in any horoscope . I call Saturn as cosmic auditor which will come at its scheduled time and audit your life , give you a check list for compliance and make your operations better . If you fail to comply , you are dismissed from your current status . You may read it in Hindi in my Quora answer about how Saturn works : अधिकांश ज्योतिषी शनि के नाम पर क्यों डराते हैं?